Head over to GroopDealz to save 56% on a beautiful handstamped bracelet with Swarvorki pearl. 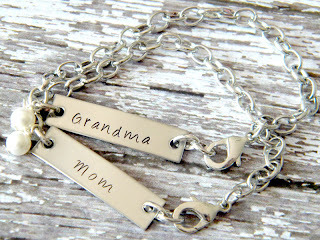 You can choose any personalization (up to 7 letters) for only $10.50! This would make a perfect gift for Mother's Day.